​Atletico Madrid forward Antoine Griezmann has revealed he is tired of seeing his name linked with a move to Barcelona, as rumours suggesting he is unhappy at Los Rojiblancos persist. 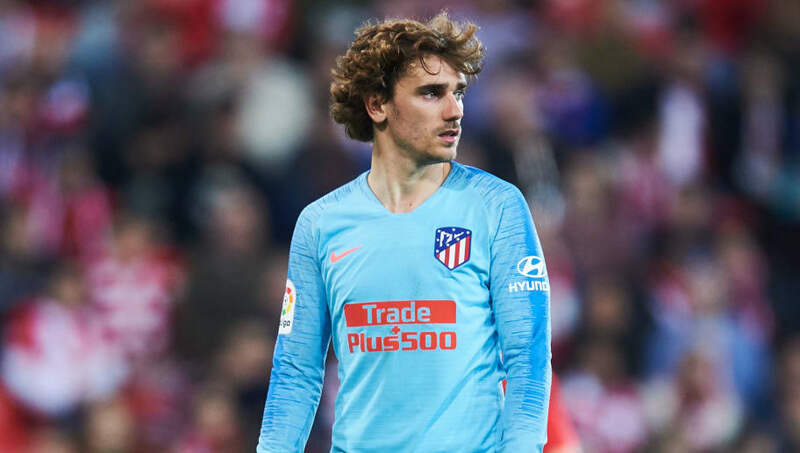 Recent reports have suggested that Griezmann is keen for ​Barcelona to reignite their interest in him this summer, but the World Cup winner told ​Univision that he has grown tired of the rumours. The link between Griezmann and Barcelona has resurfaced in recent weeks in the aftermath of ​Atletico's dramatic elimination from the ​Champions League at the hands of a ​Cristiano Ronaldo inspired ​Juventus. ​Bayern Munich have also been linked with a move for Griezmann, with the Bavarians having completed ​an €80m deal to sign his teammate Lucas Hernandez on Wednesday. Griezmann is thought to have grown frustrated with Atletico's inability to win regular trophies, instead believing that Barcelona, who look set to secure yet another ​La Liga title thanks to their ten-point lead at the top of the standings, will be able to offer him the success which he craves. Ernesto Valverde's side could finance a move for Griezmann with the sale of Brazilian winger Philippe Coutinho, who has struggled to impress since his big-money move from ​Liverpool in 2018. Club officials are alleged to have grown weary with Coutinho's inconsistency, and could raise a significant amount of money if they part ways with the ​Chelsea and ​Manchester United target this summer.